Never know what you will see if you look up into the sky. Here are a few shots of the forest from a prone position in the leaves. 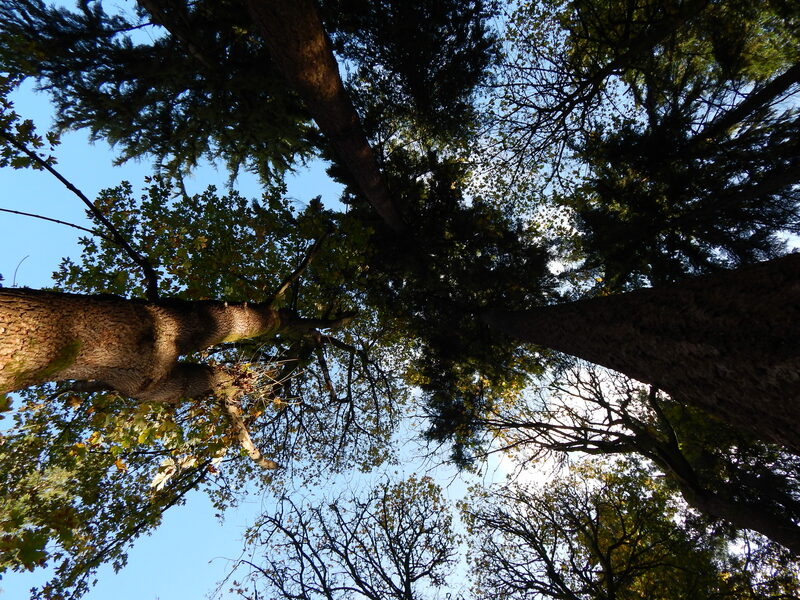 How often do you look into the sky and the tree tops? I dare you to lay down in the forest floor and behold the sights. After you look up to the sky what did you see?